"This painting speaks to us quietly and with great force. Each child is unique and deserves to have an opportunity to live life to the fullest. Tula's work provides a gentle reminder that all children on earth need to be fed and loved. " 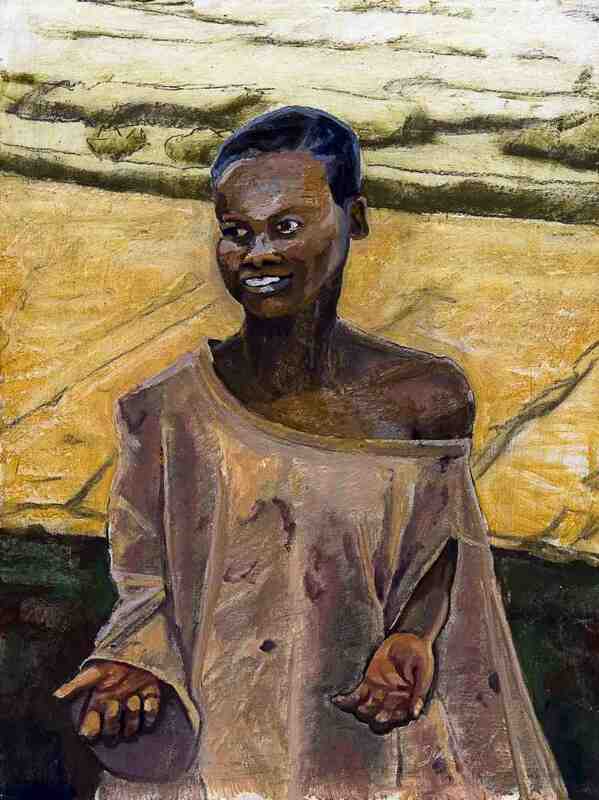 This is the portrait of a Batwa Pygmy woman from Burundi, Africa. When our missionary team visited in 2010, these were the poorest people on earth. Their life expectancy was 27 years old! Africa is rapidly changing. The man in traditional robes looks out over the landscape and sees deforestation, farming, and storm clouds in the distance. Oil on linen, 39 1/2" x 32"
"I love the colors in Tula's painting. This African landscape is peaceful and beautiful." The Batwa are some of the poorest people on earth. If this potter could sell her work, she would only be paid $.25. I want you to feel her dignity as she works on her artistic creation. "Batwa Village is absolutely stunning. It is the focus piece of our great room. Each day when we look at it, we smile and know how very happy we are to have such a wonderful, meaningful piece of art." 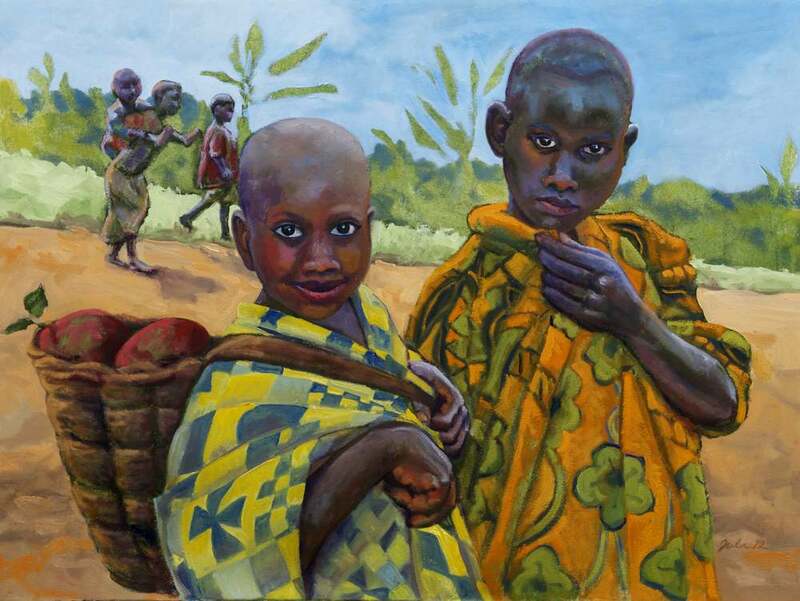 "Tula captures the essence of the Burundian people. Vibrant & beautiful! Amahoro!" "I had the pleasure of Tula's company in my studio. Tula, the student, and I the instructor. But with the completion of The Potato Peeler, I knew that it was as good as anything in my studio. That's when that wonderful reversal happens, the instructor becomes the student, and the student, the instructor." "Tula can be inspired by almost anything, but her real genius is in painting the things that move her soul. You see it in the brushstroke and the bravura color sense." This larger than life-sized zebra stares directly at the viewer to remind us of the beauty that is Africa. Oil on paper, 38"x30" "No one comes anywhere near Tula when it comes to capturing the many faces of the Burundi people. 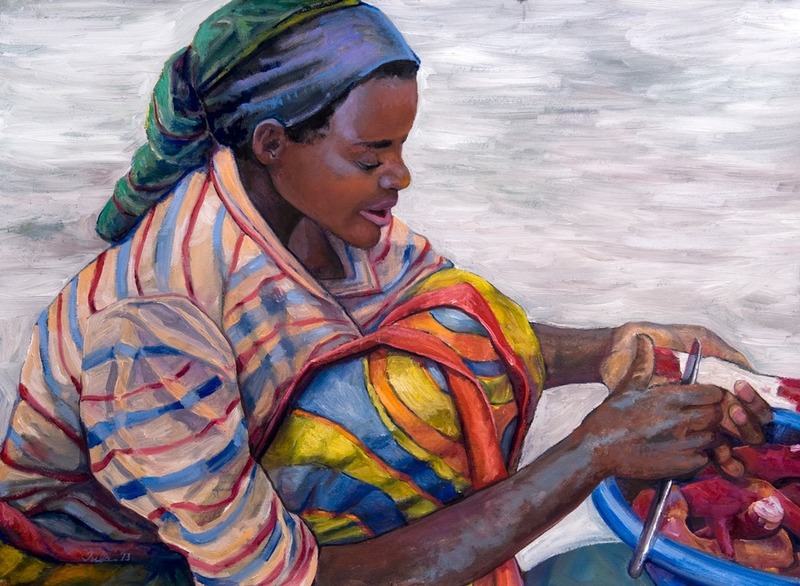 Her paintings are a moving testimony to the resilience of Burundi's society as it is once again going through a major crisis. 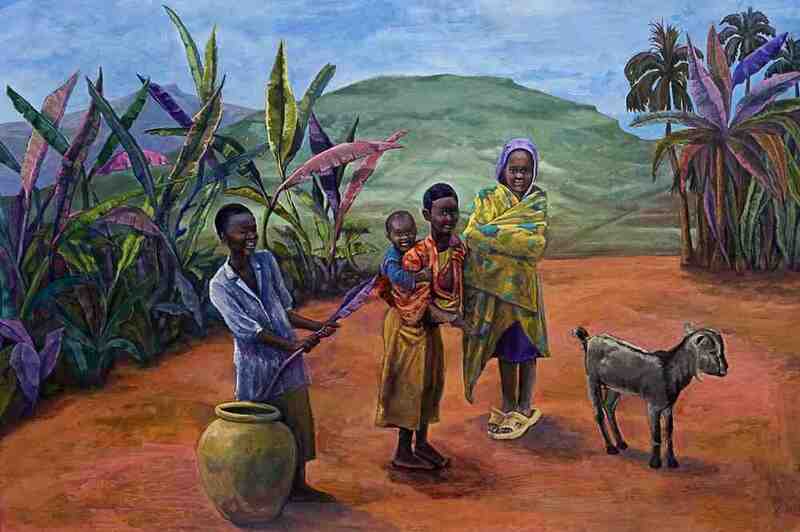 Her paintings send out a message of hope and do more to restrore faith in the future than anything I've seen or written." 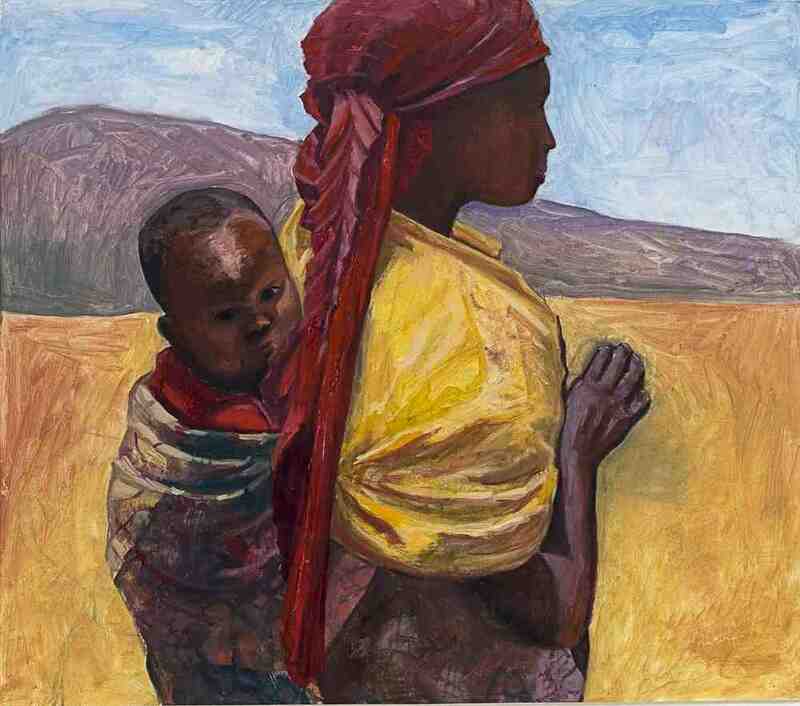 On my first day in Africa, I saw a woman walking down a rutted road with a basket on her head. Despite her poverty, she was heroic. I never painted her. I felt her power through the black and white of the charcoal. This beautiful beggar appeared from the hillside and approached our tour bus. She had a lovely smile. There was no difference between us. Only that I had been blessed by the circumstances of my birth, and she lived in poverty in the poorest country on earth. Her image still haunts me.